many more features, but a beautiful design and simple interface. Our team spent hours behind the drawing board to create one of the most beautiful and simple interfaces a music player can have. 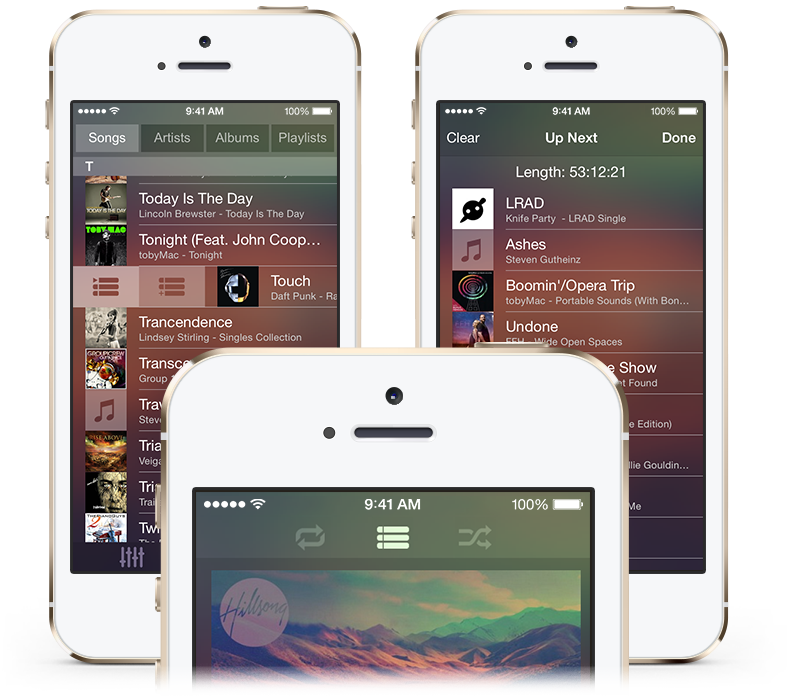 The design almost entirely consists of blurs and blend modes, which create a "glass" effect, and makes the app feel more alive by constantly changing as you are switching between songs. Have that song that you want to know the lyrics for? Want to sing along? 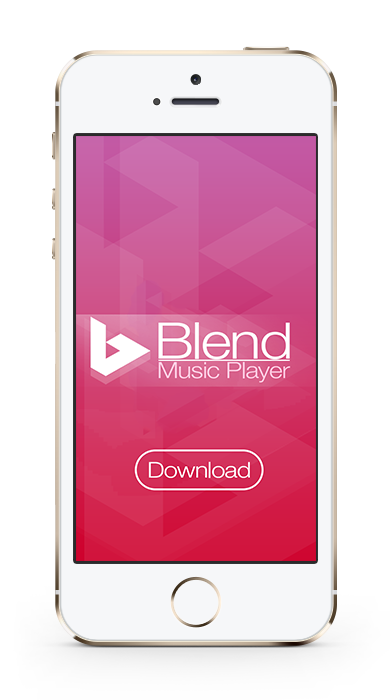 Blend has you covered! With our automatic lyrics detection feature, your favorite songs will be updated with the on screen lyrics automatically! 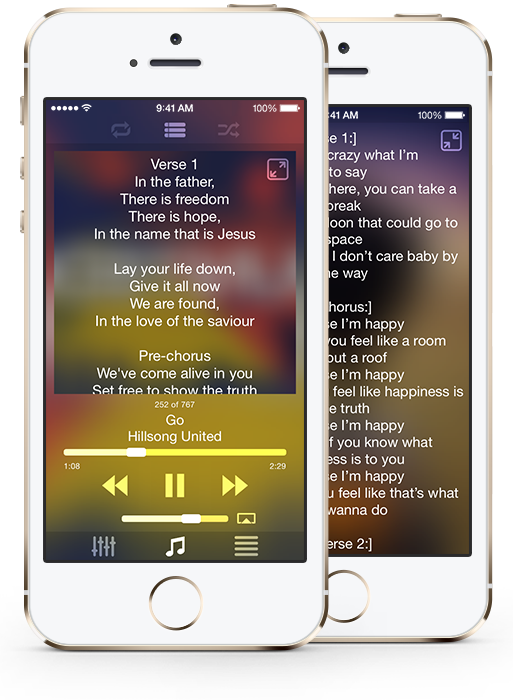 You can take lyrics to every song in your library everywhere you go! 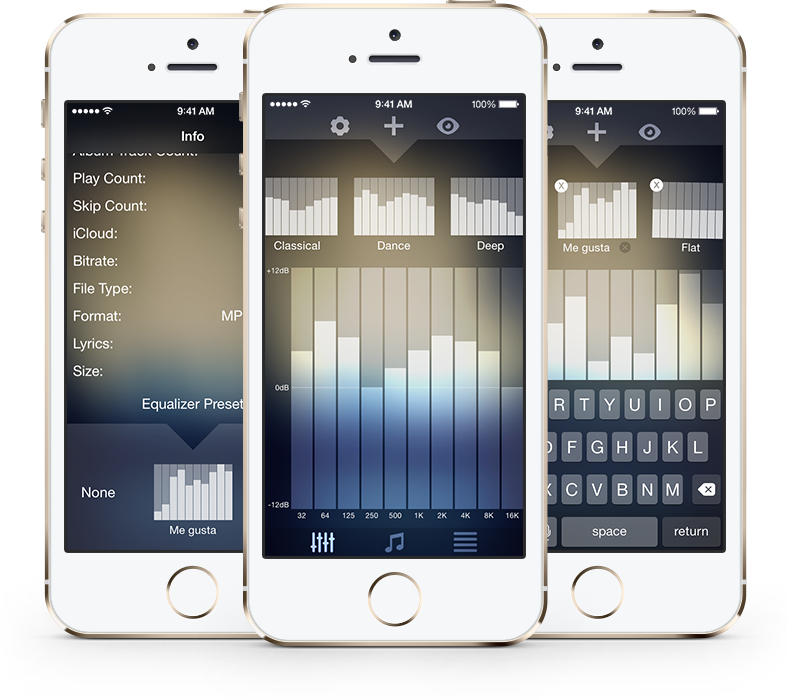 Adjust the equalizer to make songs sound just how you want them to sound. Blend not only comes with many EQ presets, we also made it possible for users to create their own presets! You can also assign an equalizer preset to each song individually, and Blend will play that song with the assigned equalizer every time! 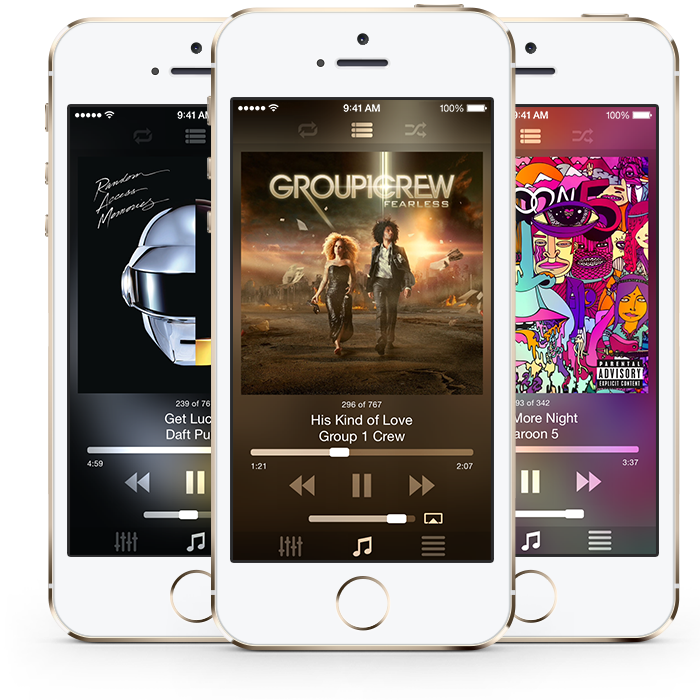 Ever wanted to hear a specific song right after another one without stopping music playback? Blend does not disappoint. You can add songs to play next or add them to up next just like in iTunes on the computer. You can also see how long your upcoming music will play for. 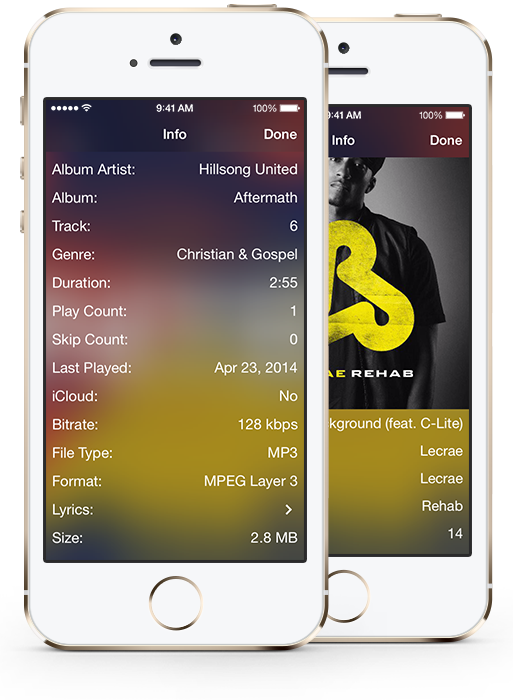 With Blend you can view advanced song info like the filesize and bitrate. The song info is organized into a simple and easy format so you can always find it. Just hold a song and you can learn more about it. You can find us on Twitter or send us an email above.